While browsing through the ads, something caught your eye. You see your dream guitar at a price within your budget. What do you do next? Before you call and arrange to buy that guitar, here are things that you should do. A seller that is known in the local guitar community will not knowingly sell a fake Fender or Gibson. A guitar collector or someone who buys and sells guitars knows how to choose a good guitar, hence, will sell a guitar that passed his scrutiny. Buying from these sellers gives you some assurance that the guitars are good, though you still have to check the guitar. However, these sellers also know the market price and it may be difficult to negotiate for a big discount. A new seller can be a risk or a blessing. There is a risk that the account was created to sell a defective guitar. On the other hand, it may be easier to negotiate for lower prices with a guitarist that is new to selling. A good seller will state the reason for selling as well as disclose the known issues of the guitar. Issues like scratches and dings can be ignored for used guitars. Cracks, on the other hand, can be expensive to repair and should be avoided. Stock parts will enhance the guitar’s resale value if they are lawsuit-era guitars. Upgraded parts should not significantly increase the price of the guitar. Aftermarket parts are subjective; what sounds good to the seller may not sound good to you. A refinished guitar is good if you do not care about the lower resale value. For those who can wait, buying during a special store sale can be quite rewarding and is recommended if you are buying brand new. However, be wary of heavily discounted prices and make sure that you inspect them thoroughly when you get there. Big discounts are not given without a reason. Unless you are well versed with the guitar you intend to buy, having pictures of the actual item for sale will give you time to check it out. Use Google to research how a similar model looks like. Your knowledge on that model will prevent the seller from feeding you with inaccurate information. Does the hardware look the same as those you see on the net? Is it a crack or a ding? 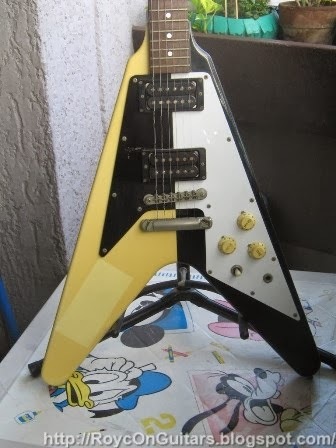 Is there something in the guitar picture that does not look right? You should consult the guitar forums before the meet-up. Believe me; you will miss some issues once you are already holding that guitar. If the seller will allow, ask for pictures of the neck joint and cavities. On some guitars, they will contain information on the model or date of manufacture. Pictures of pickup bottoms may confirm the brand. Images of tone control circuits will show if some parts have been replaced. 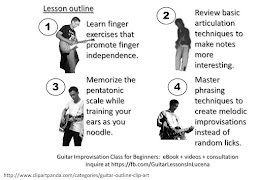 Read the Guitar Buying Guide when you are ready to buy the guitar.